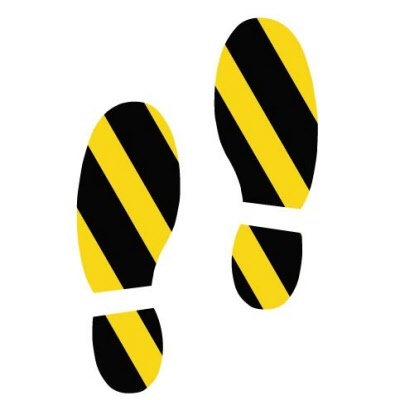 Floor Graphic is made from Permanent Non Slip Vinyl for Long Term Indoor Use (up to 12 months, subject to footfall) or Permanent Non-Slip Vinyl for Short Term Outdoor Use (up to 6 months subject to footfall). Minimum Online Order Quantity 5 Pairs. 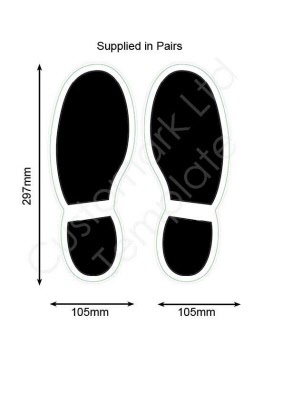 See More Shoe Print Floor Stickers.